It was the Eastern Cape Khoisan people who originally named the Eastern Cape Sundays River 'Nukakamma - grassy water', because the Sundays River banks are always green and grassy, despite the arid terrain through which it runs. Said to be the fastest flowing river in the country, and bolstered by the waters of the Great Fish River, the Sundays River ambles past the Eastern Cape Addo Elephant Park, and through the Sundays River Valley towards the Indian Ocean. On its journey through this verdant area of the Eastern Cape, the Sundays River passes the Eastern Cape towns of Kirkwood, Sunland and Addo Village in the fertile Sundays River Valley, then empties into the Indian Ocean near Colchester, which lies on the banks of the Sundays River just 20 minutes’ drive from the bustling Eastern Cape town of Port Elizabeth. The small village of Sundays River itself is nestled amongst rolling hills and sand dunes (typical of the Eastern Cape), and is where many holiday makers from Port Elizabeth and East London come to enjoy the tranquil Sundays River environment, and convenient proximity to beautiful Eastern Cape beaches. Guests will enjoy the Addo Rose Festival, the Citrus Carnival, and the Addo Polo Tournament - all of which are held in the Sundays River Valley once a year. If you're visiting the Sundays River Valley in June, don't miss the Kirkwood Wildlife Festival - where you can participate in the highly competitive sport of spitting kudu droppings! The avid golfer may consider a few hours in the day to try out the Kirkwood Golf Club, which boasts an interesting little nine-hole golf course. For a great place to spend a sporting afternoon, the Addo Polo Club offers polo, tennis, cricket and squash...........and of course easy access to the Addo Elephant Park. Not to be missed is the Eastern Cape Addo Elephant Park, home to more than 550 elephants who peacefully roam 1,640 km² of Eastern Cape bushveld. This Eastern Cape Game Reserve is the third largest national wildlife park in South Africa, and is ideally suited for the outdoor adventurer, uniquely offering visitors the opportunity to see the Big 5 - Rhino, Lion, Elephant, Leopard and Buffalo. For the 'birders', a bird-watching cruise from Colchester to the nearby Alexandria Dunefields is a not-to-be-missed Sundays River activity. 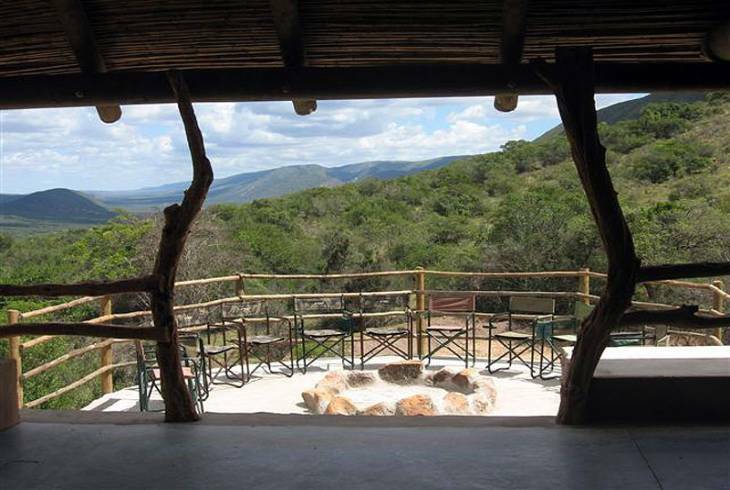 If, on your travels, you need Sundays River Valley accommodation, you'll find an abundance of B&B's Private Game Reserves and Self Catering accommodation in Sundays River Valley Eastern Cape towns. Visitors to the famous Addo Elephant Park will generally seek Sundays River accommodation conveniently situated in one of these small towns dotted along the Sundays River Valley. Sundays River Valley overview. Sundays River Valley Accommodation and Information.